만복사는 고려시대의 승려 도선이 창건하였다고 전하며, 불상을 올려놓는 받침인 석좌는 절 안에 위치하고 있다. 이 석좌는 거대한 하나의 돌로 상·중·하대를 조각하였는데 육각형으로 조각한 것이 특이하다. 하대는 각 측면에 안상(眼象)을 새기고, 그 안에 꽃을 장식했으며, 윗면에는 연꽃모양을 조각하였다. 중대는 낮으며, 짧은 기둥을 본떠 새겼다. 상대는 중대보다 넓어지고, 평평한 윗면 중앙에 불상을 끼웠던 것으로 보이는 네모진 구멍이 뚫려 있다. 옆면에 연꽃이 새겨졌던 부분은 주변 전체가 파손되었다. 이 작품은 통일신라시대의 전형적인 8각형에서 벗어난 6각형이며, 안상 안에 꽃을 장식한 것은 고려시대에 유행한 양식으로, 11세기경에 만들어진 것으로 추정된다. 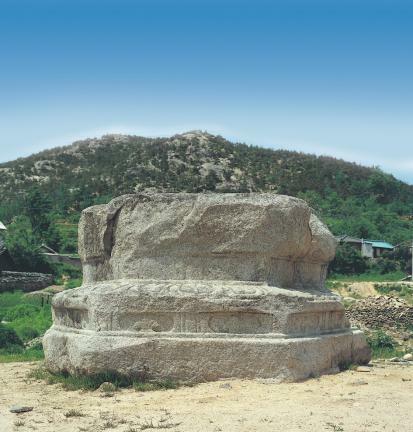 This stone pedestal designed to hold a statue of the Buddha is situated within the grounds of Manboksa Temple, which was allegedly founded by Doseon, a famous monk of the Silla Dynasty. The pedestal is engraved with three hexagonal bases - top, middle, and lower – made from one piece of stone. 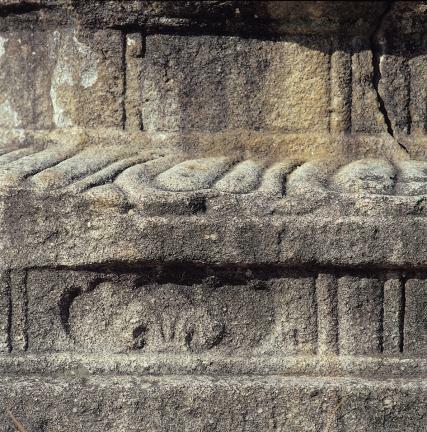 On the six sides of the lower base, symbolic images of the elephant’s eyes are carved with many flowers, and a lotus flower on the top. The middle base, which is narrower than the other two, has short-pole patterns on its sides. 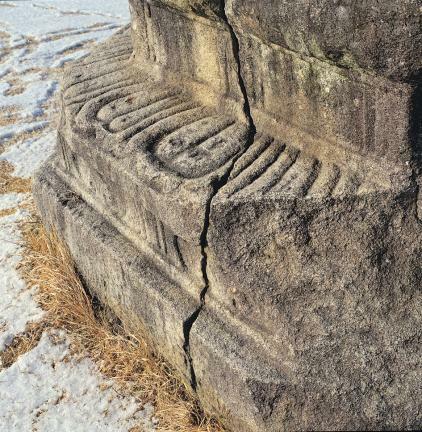 The top base has a square-hole on the top on which a statue of the Buddha is presumed to been placed. The neighboring parts of the lotus flower engravings on the sides of the upper base have unfortunately been damaged beyond repair. 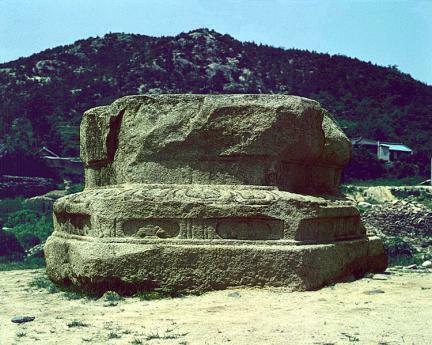 Judging from the hexagonal shape of the pedestal, which differs from the typical octagonal style of the Unified Silla Dynasty, and the flower engravings within the image of the elephant’s eyes, which were popular during the Goryeo Dynasty, it is thought to have been produced in the 11th century.